NO COVER + OLD STYLE from 9-10pm with your Do312 RSVP!! Bump & Grindcore is a safe place for people of all shapes, colors, orientations, and gender expressions to get nasty all up on each other. Beauty Bar is open Monday thru Friday 5pm-2am, Saturdays 5pm-3am and Sundays 8pm-2am. Beauty Bar’s Signature Martini & Manicure Special for only $15! 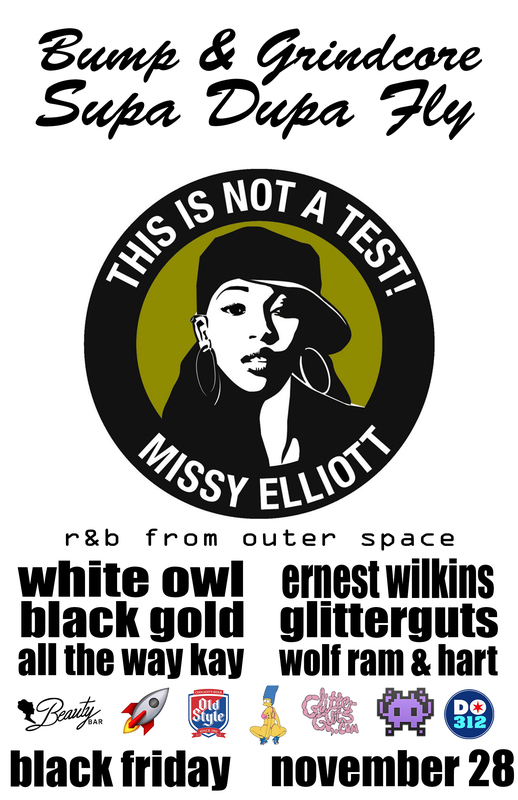 Share the post "Get ready for Bump & Grindcore: A Tribute to Missy Elliott"
This entry was posted on Thursday, November 20th, 2014 at 2:38 pm and is filed under blog. You can follow any responses to this entry through the RSS 2.0 feed. You can leave a response, or trackback from your own site.